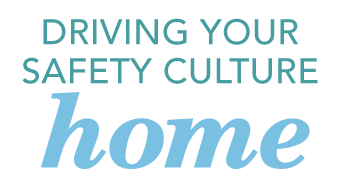 The 2014 Drive Safely Work Week (DSWW) campaign is designed to get your organization thinking about the importance of integrating elements of safe driving into your core corporate safety culture. Whether employees drive as a part of their work, to and from work, or around town after they've left work, DRIVING is quite likely the riskiest thing they do on a daily basis. This tab has information on the importance of a thoughtful, planned safety culture that integrates road safety for all employees and the critical role that executive leadership plays in setting the tone. This tab contains employee engagement materials for use during Drive Safely Work Week (or any time) to emphasize the importance of using seat belts on every trip as well as the importance of not using mobile devices while driving-- a great starting point for integrating road safety in the corporate safety culture. This tab includes ideas to help extend workplace road safety culture into employee homes and out to the community. This tab includes links, tips, and ideas for leveraging existing resources to help keep road safety top-of-mind throughout the year. Founded in 1989, the Network of Employers for Traffic Safety (NETS) is an employer-led public-private partnership dedicated to improving the safety and health of employees, their families, and members of the communities in which they live and work, by preventing traffic crashes that occur both on and off the job. For more information on NETS, visit www.trafficsafety.org.